The One Millionth Card is a very special card to me; not just because of the milestone but because of the card itself. Once I started receiving donations, I realized that this project was going to be something big and I wanted to mark this huge milestone in a special way; and what better way than donating my favorite card. Actually, we are donating TWO of them! Our 999,999th and 1,000,000th will be two different versions of the same card, the 1989 Upper Deck Ken Griffey, Jr. Rookie Card. To anyone who has every collected trading cards they will recognize this as the card that truly changed the trading card industry; it is nothing short of a masterpiece. The card was #1 in the first set ever released by Upper Deck. 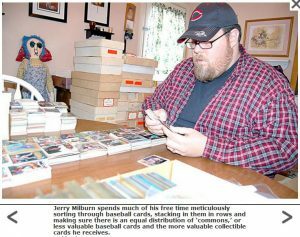 The set changed how baseball cards were made and it contains my entire childhood, at least in memories. Back in 1989, I was eleven years old and very heavy into the baseball collecting world and this card was impossible for me to pull out of a pack. The cards value was booked at $10 but to an eleven year old, growing up on welfare and living in the projects; that could have been $1,000. My cousin pulled one from a pack and most of my friends had theirs in hard plastic cases, displaying them proudly but I just couldn’t get one and I hated it. Griffey Jr. was a rookie and I couldn’t really watch him play unless it was in the All-Star game but there was something already iconic about that card; from his big cheesy smile, to the gold necklaces he was wearing. I have yet to find someone who can really describe that feeling when a collector looks at this card; actually the whole set still amazes me. One night, my mom had gone to bingo and when she got home, I was already in bed. She came into my room and woke me up to give me a pack of 1989 Upper Decks that she had bought for me on the way, as a surprise. I grabbed them, but they had already been opened and I remember my mom telling me that she just couldn’t wait any longer, the suspense was killing her so she had already opened it to see if it held the one card I was dying to get and with a sad face, she stated that it didn’t. I pulled the cards out to thumb through them because the entire set was amazing and there were still some amazing cards that could be found. As I thumbed through the cards, the 4th or 5th card down, I saw this iconic card. Ken Griffey, Jr. was standing there smiling at me and I doubt his big cheesy smile even came close to mine at that exact moment. After all of the yelling and screaming of pure shock and amazement, my mom explained to me that she had stopped and bought the Griffey card for $10 and slide it into the pack as a surprise. I quickly put the card in a plastic case and it became my most treasured possession. 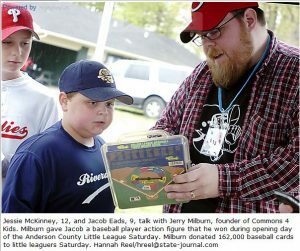 I kept it showcased in my room and from time to time, my mom would take it with her to bingo as her good luck charm and I believe she even won once on I-24, which just happened to be his number at the time. We were living in a two story house that had been renovated into two apartments, an upstairs and downstairs; we lived upstairs. Mom had headed down to the car but had forgotten her purse, so she yelled up for me to toss it down to her. Unlike Griffey, she couldn’t catch anything thrown to her, so she missed her purse and it hit the sidewalk and, sadly, my treasured card within hit just right (or wrong in my case). The plastic case broke and the weight of the purse landed on the card and caused two creases, basically bending two of the corners back. Now in the world of baseball cards; this card was basically worthless. I don’t remember, but I’m sure I cried because my childhood just got destroyed, or so to speak. 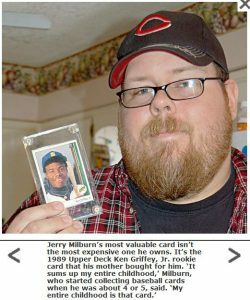 I’m not sure how old I was at the time, but I can tell you that Griffey had become a legend already and this card had a book value of around $100, so replacing it was never going to happen. As time went on and I grew up to get a job and actually have some money in my pocket, I have come to purchase 5 of these cards. One I got at a mall, two I got from Craigslist, one I bought a whole entire set of 1989 Upper Decks just for a few cards and one I traded for. The original card is hanging, in a frame, in my living room and two of my others are going to Commons 4 Kids to be donated on November 30th. The original card is priceless to me. The 999,999th card is an actual graded 8 version of the card which I bought at the mall in Louisville, KY. There was a baseball guy set up in the middle of an isle and I couldn’t pass it up. The 1,000,000th card is a perfect version of the card taken directly out of a sealed factory set that I bought from an Ebay consignment shop in Frankfort, KY. The card was removed and placed directly into a heavy, thick case and has only been touch once. I have no doubts that the card would graded at 9.5 to 10. To me, this card is the reason I have put so much time, effort and money into this project. I can’t look at this specific card and not have most of my childhood flash through my mind and hopefully, at least one child that we have donated too, will find a card that we have given them and hold it as dear to them as I do with my card. We’ve done radio shows in St. Louis-Missouri, Danville-Kentucky and Frankfort-Kentucky. 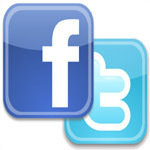 We’ve been featured on several news shows and tons of newspapers articles…..even USA Today!!! We are a trading card charity that focuses on getting unwanted trading cards into the hands of kids- it’s that simple. I started back in 2012 when I cleaned out my closest and had tons of unwanted commons; instead of trashing them I decided to donate them to a local charity. The charity contacted their local paper and told them about the donation and that article was picked up by the Associated Press and went nationwide- within weeks, my address was public and people were sending me cards. I decided to just run with it in the hopes of one day donating 1 million cards but we quickly passed that mark within the first year. 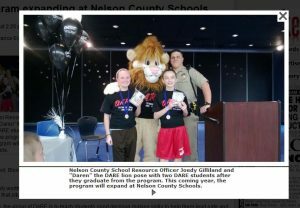 We have donated millions of cards to kids in several states from Missouri to Pennsylvania; from Indiana down to Tennessee….even as west as Kansas! The great people that sent us cards are considered a part of the #C4KFamily, with cards coming from over 45 states, Washington DC, Canada, Japan, China, Australia, United Kingdom and Italy. We have worked with celebrities from Austin Kearns (former REDS All-Star) to Rik Smits (Former NBA legend) and Deltha O’Neal (Former NFL star.) We have worked with over 40 different charities such as Ronald McDonald House, Little Leagues, Boys and Girls Clubs, Big Brothers/Big Sisters and children’s homes in multiple states. While we haven’t stopped receiving cards since 2012, #C4KFamily members started sending us autographs, baseballs, baseball bats, comic books, Lego’s, video games and anything else you can think of that kids would enjoy- we’ve even received tons and tons of “adult” cards, which have been sold to purchase more kid friendly cards. 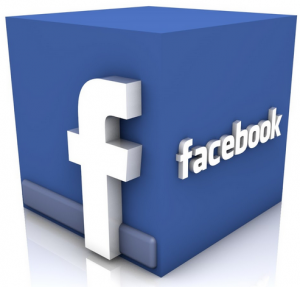 I ran a blog here for over 4 years….but recently that blog was hacked and forced me to move all of our updates to our social media sites on Facebook and Twitter. 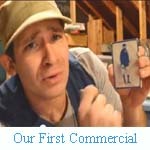 While this was a set back, C4K will continue moving forward until the cards stop appearing on my porch. 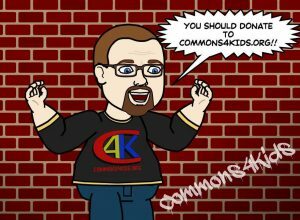 I would like to thank EVERYONE who has ever donated, shared, promoted or helped us in anyway- this entire project belongs to you- the #C4KFamily. If you have any questions, opinions, thoughts, ideas….or just wanted to chit chat, feel free to email me – Jerry@Commons4Kids.org! I am just a guy that started donating his cards, which lead to other people giving me their cards to donate. We don’t claim any tax breaks and we can NOT provide you with any type of tax documents. Your “donations” are simply gifts to me. I take those gifts, box them up and give them to kids- it’s that simple. If you would like a tax donation for your cards, I suggest doing a Google search for “children’s homes” or “children’s charities” in your local area and contact them directly. 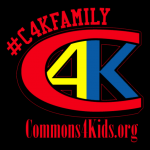 When we receive any cards, we will post pictures and names/city/state on our social media and add you to our #C4KFamily- we will NOT post your address. We accept ALL trading cards- including all sports and non-sports, gaming, adult, comic book, movie, TV show, music, etc. If the cards received are NOT kid friendly; they will be sold through our Ebay account or social media with 100% of the money going to purchase kid friendly cards. Anything that a kid may enjoy, we are open to accepting as gifts. 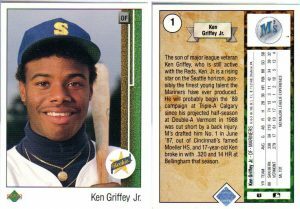 Why The 1989 Griffey Jr Upper Deck?